A bittersweet look back at the early days of flight, The Great Waldo Pepper mixes nostalgia, comedy and tragedy. Director George Roy Hill teams up again with Robert Redford and they effectively keep the characters at the centre of the drama despite the preponderance of buzzy airplanes and aerial stunt sequences. It's the 1920s, the sight of flying machines is becoming relatively more common, and World War I veteran pilot Waldo Pepper (Redford) is witnessing the end of the barnstorming era in Midwest, in which pilots land their bi-planes in rural fields and sell a short flight experience to the gape-mouthed locals. The flamboyant Waldo is good at flying but better at lying, and he spins tall tales about an epic encounter during the war with the legendary and widely-feared German ace Ernst Kessler (Bo Brundin). Waldo tangles with fellow flyer and barnstormer Axel Olsson (Bo Svenson), but with audiences demanding more thrills and extreme risks, they become friends and team up with local girl Mary Beth (Susan Sarandon) to join the stunt flying circuit, resulting in a tragedy and suspension from flying. In the meantime, Waldo's friend Ezra (Edward Hermann) finishes building an advanced technology plane, and attempts a dangerous outside loop manoeuvre. This causes another tragedy and lands Pepper in even deeper trouble, and he is banned entirely from flying by the newly formed federal flight regulation body. Undeterred, Waldo and Axel relocate to a burgeoning Hollywood, with Waldo assuming a new name to circumvent his ban. They are hired as pilots in a film about Kessler's exploits, allowing Waldo to finally meet and fly against his mythical foe, this time for real. The Great Waldo Pepper is deceptively sad. While an overall sense of flying for fun and laughter in the face of danger permeates the film, the script by Hill and William Goldman contains several moments of severe calamity. Sudden and sometimes spectacular death was an almost routine part of the early days of flight, and to give credit to Hill, the opening sequence hints at men regularly rubbing shoulders with abrupt catastrophe. 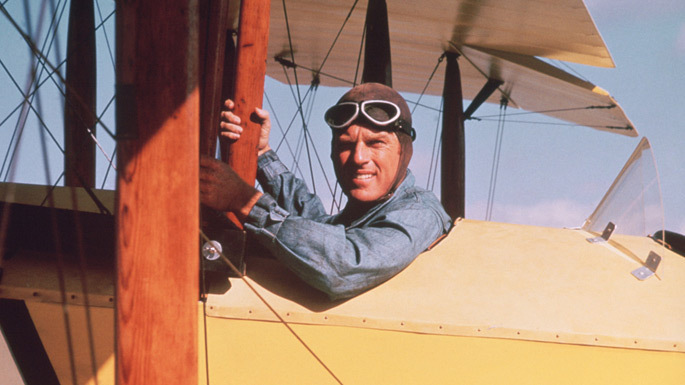 Redford has the natural charm and charisma to bring Waldo Pepper to life, and his optimism and longing for unconstrained flying are infectious. Bouncing straight back up after every setback, Redford gathers life's experiences and hurtles towards his destiny, an encounter with Kessler presenting both men with an unexpected opportunity for a memorable exclamation mark. 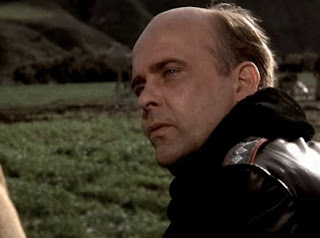 Brundin makes his appearance late in the film, but his few scenes are rich with the pathos of a man realizing that his legacy is based on one incident in the sky that lasted minutes, and that the future offers much less than what the past fleetingly provided. Susan Sarandon makes a big impact in an early supporting role. Mary Beth spots the opportunity to soar out of her humble environment and is quickly mesmerized by the idea of fame and celebrity, the stars in her eyes blinding her to the dangers of stunt flying. Margot Kidder also has a small role as one of Waldo's former girlfriends. Featuring some amazing aerial photography, with the stars and filmmakers actively participating in the creation of the memorable stunt scenes, The Great Waldo Pepper is a celebration of flight and the men who touched the sky only to realize that nothing on earth can compare.